Sydney born singer/song writer Nathan Cole has been playing guitar for 19 years and singing for 13 years performing with a variety of professional musicians such as James Parrino (Australias Got Talent 2009) & Alex Gibson (The Voice Australia 2013) playing music at various venues throughout Sydney, NSW and abroad. 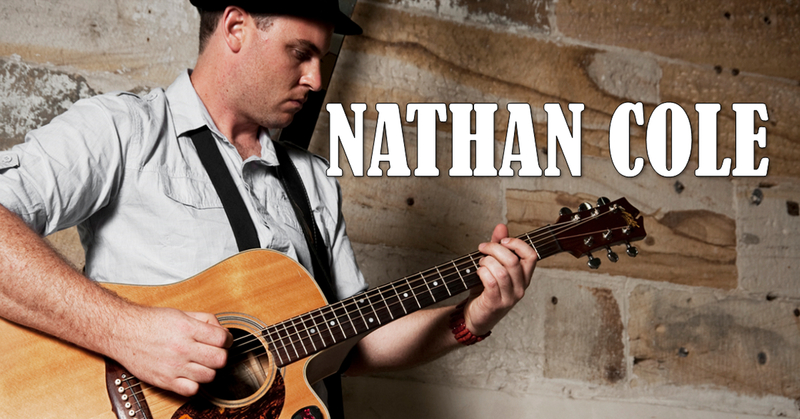 Using an acoustic guitar, stompbox and loop pedal, Nathan is extremely versatile and adapts well to the mood of the audience providing anything from laid back Sunday afternoon or dinner music to rocking upbeat party songs that will have everyone up and dancing. There are various performance options available to suit your requirements including anything up to a 4 piece band. A variety of styles are included in the setlist including pop, rock and blues catering for the needs of any hotel, wedding or corporate function. Always happy to take requests, Nathan can draw upon the classics by artists such as Led Zeppelin, The Beatles, Neil Young, Bon Jovi and Cold Chisel or new music from John Mayer, The Kings of Leon, Ed Sheeran and the Black Keys providing something for everybody. Nathan is a hard working musician always learning frequently asked for requests to stay current with today’s audience’s young and old. After years of professionally performing, experience has taught Nathan how to handle any situation that can arise at a venue and he always embraces the atmosphere enthusiastically delivering songs well into the night to keep the vibe flowing.